Type Train Number or Name in "Train Route / Running Status" Form. Click on "Running Status" Button. A Dialog will be displayed to Choose Date. If you want to see running status on Map, Check "Show Running Status on Map". 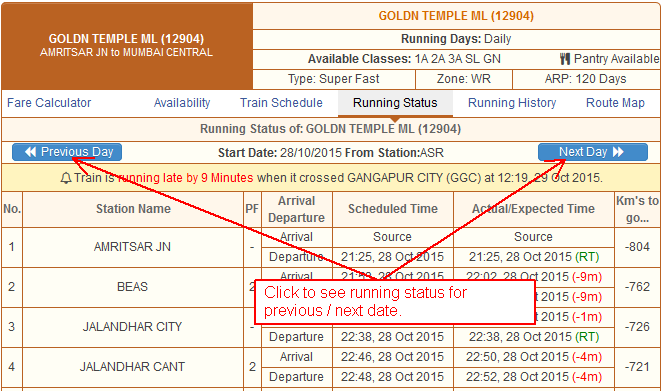 Running Status will be displayed in Right Window. You can also Get Running Status by using "Quick Menu" Bar.